Head of Content Jason Rubin also stresses that with the launch of Oculus Touch, "We're going to do it the right way this time"
As you may have seen over the last week, the two major PC VR players - Oculus and Valve - have been sending out mixed messages on what exclusivity means for their platforms and for the VR industry as a whole. While Gabe Newell doesn't believe that HTC Vive exclusives are a good idea for customers or developers, and stressed that Valve helps developers get funding with "no strings attached," Oculus Head of Content Jason Rubin told me at E3 that his company's policy on exclusives is what's actually going to grow the VR gaming business. For Rubin, Oculus' role is not only to curate incredible VR games for its audience, but to inject funds into the ecosystem, rather than just let it grow organically over a decade. "If you look at the PC ecosystem, it's grown over decades. I remember the first games that I was making we were putting in ziplock bags - this would've been early '80s, '84, and selling for about the same price to handfuls of people. There was certainly national publishing, but if you sold 100,000 units it was a massive hit because there just weren't that many people playing games. And so you could only spend so much on games, so the games were smaller. And over decades of time, you sold a good game, it made more people interested in gaming, so more people bought PCs to play games, which brought more developers to it, which made better games, and over decades that's built up to $100 million games. We have these massive games out there now that everybody loves, everybody wants to play, that wouldn't exist unless that ecosystem had built up over decades. That is a model that we can follow," he began. "We have put huge amounts of money into the ecosystem, more than any of our competitors"
While VR is a very nascent market and developers are still figuring out the language of VR, the problem is that gamers today are very accustomed to high fidelity games on PC and console. They expect a certain level of visual quality. "The average gamer is now aware of $100 million games. And while we certainly cannot build a $100 million game that takes four years, in the year we've had dev kits, we can try to get closer to that by funding significant leaps beyond the financial certainty that a developer would need to have to do it on their own. So, in other words, as they look at the market, they may say, 'I can afford to make a game that costs $500,000.' Some of that is me not paying myself. Some of that is computer equipment, music rights, whatever it is, lost opportunity for having a job. Vaguely speaking it's a half a million dollars. Half million dollar games are great. Indie games are great. People love those games. But that isn't the entire sphere of games that they want to see on a platform. They also want to see games that are more expensive," Rubin continued. "As a developer looks at a multi-million dollar production in VR right now, they say there's no way that will earn its money back in any reasonable amount of time, so instead I'll go make a non-VR PC game of that scale if I want to because that's a better bet. We don't like that. We don't want it to be $500,000 games this year, million dollar games next year, two million dollar...and take decades or at least a decade to build itself to the point where you can afford bigger games. So what Oculus has said is, 'Why don't we throw more money into the ecosystem than is justified by the consumer base,' which will lead to a consumer base that's larger, which will leave that second generation of developers to say, 'Hey, let's go build these games because now the consumers are there, and kick start that decade long process in a much shorter length of time.' And, to do that, we have put huge amounts of money into the ecosystem, more than any of our competitors." Rubin added that "in no case are we asking to have control of the intellectual property in the long-term," which is a very important point for the developer who can capitalize on that IP once it's established. "So if the first game barely makes its money back, the second game can be profitable because the consumer's there. That's theirs to do on their own on any platform they want," Rubin said. "And in a lot of cases, we're looking at software that's in process, where the developers are running to the end of their logical stream of cash and they come to us and they say, 'I want to put this in your store,' and we say, 'That's awesome. However, we can tell it's kind of unfinished.' And they're like, 'We can't finish it. We don't have the money to finish it.' And we say, 'Well, how about we give you a little extra to finish it and in exchange you bring it out as an exclusive in our store for a limited amount of time, continue to develop for all platforms, and then put it out on all platforms?' The better game gets to all consumers in that case. And those are the deals we're making. And that, to me, makes a lot more sense than just let this thing work itself out over a decade." Oculus does have games that are true exclusives, funded completely by the company and published under the Oculus Studios label, but even with those games, Rubin noted that there's potential for the IP to make it onto other platforms in the future. "We look at those as first-party games... Oculus Studios' [games] are multi-multi-million dollar productions [and] in general, we have gone to the developer and co-developed those with them from, literally, day one. In the case of The Climb, there was no game The Climb. We went to Crytek, I looked at some demos they had put together, one of them was a climbing demo, and I said, 'We should build a game entirely around that.' We co-designed it. They, obviously, did all the hard work and they're the developer, but that game was fully funded and fully conceptualized from the beginning with us. We consider those first-party titles... Having said that, they own The Climb IP. The Climb 2 can come out on any console, any PC, any anything, anywhere. We don't own that. And that game is out and consumers are seeing this great game. It's one of our top sellers out there," Rubin said. "The idea that we're not doing good for the industry I find completely failing"
"Smaller games, indie games that come to us half done - generally, we say to them, here's a much smaller amount of money just to get you to where you wanted to be, and in exchange, give us a short time in the store exclusive, but then do it for any platform. Those those are the two main situations. There are other cases where we say, 'We think you could do a little better job,' or, 'You're not quite at the finish line,' here's cash. Don't do anything [exclusive with us]. In fact, as of today, there are games in the Steam store that we have put money into that are not in our store. So the idea that we're not doing good for the industry I find completely failing," he stressed. Rubin believes that Oculus is doing what no other company is able to for the VR space, and that ultimately it's going to be a "pretty good thing for the consumer." Naturally, having the backing of Facebook and that war chest to tap into is helping things along as well. "If Facebook had wanted VR to work, but hadn't wanted to put a lot of money into it, it would've been a bad bet for them. If nobody was investing in larger games, I believe that VR would be a fringe event for a lot longer time. The other option would be that it's fringe on PC and Sony does what Sony does and the better titles on PC are the hand downs from the console market where somebody is doing closer to what Oculus is doing on the PC market. And I don't think that's good for the PC market either," he stated. Making sure that Oculus has a steady stream of amazing VR games is now just one component of Rubin's job. The Head of Content title is actually a recent promotion, and now Rubin oversees far more than Oculus Studios and the publishing group. He's also responsible for the store, developer relations, story studios, and the Felix & Paul relationship. "It's basically all content in VR now rolls up to me. So it's a lot more work. How does this change my day to day living standpoint? It probably means a little less time in the games, which I regret, but it means that I think Oculus will operate a much more well oiled content machine. Not that we've had a bad one, but I think that we can improve it," he said. Facebook definitely understands that turning VR into a mainstream phenomenon will take some time, as Mark Zuckerberg said at the F8 conference, and Rubin noted, "We're doing everything we can to make VR as mainstream as possible as quickly as possible," and part of that includes having a large booth presence at E3 and getting demos into Best Buy stores. 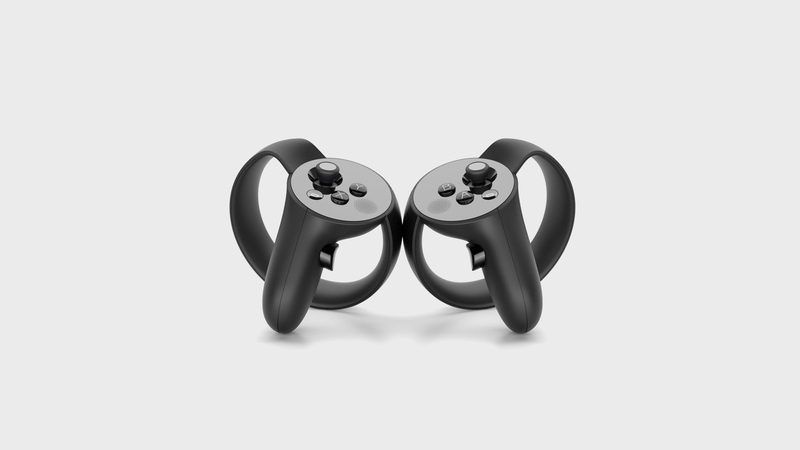 The next step for Oculus is to launch its Oculus Touch controllers, which feel a bit more natural than the Vive controllers, based on my experience with them at E3. Oculus has already promised 30 games at launch later this year, but the company has yet to announce exactly when Touch will launch or how much it'll cost. That's very deliberate, Rubin told me, as the company has learned from its earlier launch mistakes. "We underestimated demand and we underestimated the difficulty of making hardware... What we learned from the last go 'round is don't make promises you can't keep"
Rubin acknowledged that Oculus and Facebook obviously don't have prior hardware experience, and Oculus is only 3.5 years old. "We underestimated demand and we underestimated the difficulty of making hardware. Having said that, we're catching up. Press and consumers have picked up on the fact that we're ahead of our new scenario and it won't be long until we're shipping basically as they're ordered," he noted, adding that with Touch, "What we learned from the last go 'round is don't make promises you can't keep. So one of the reasons you haven't heard [a] firm [date] is because we don't want to make a firm statement, which everybody wants, and then not be able to back it up. So this time we're going to do it right. We're launching this year and we'll make a statement when it's coming out and everything else everyone wants to know when we have 100% certainty that that information is going to be factual. We're going to do it the right way this time." While Rubin, himself, talked about how there isn't much demand for room-scale VR in the average consumer's home, with Touch hitting the market this year, Oculus may be taking another look at implementing a solution. 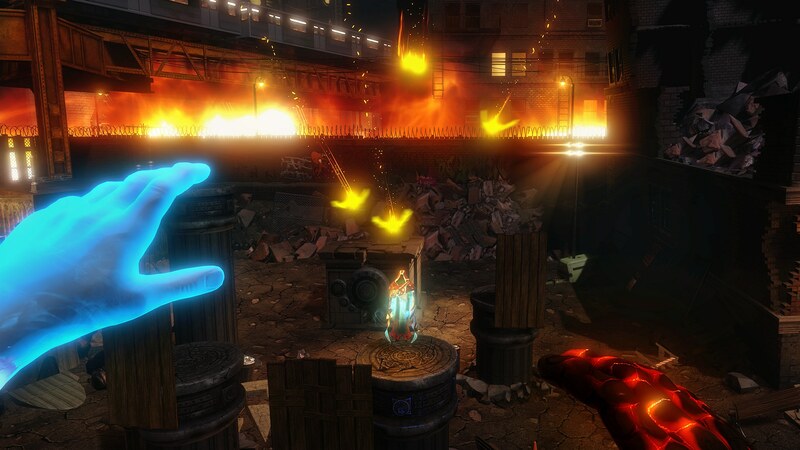 And importantly, Touch will be getting even better than it was on the show floor. "I will say we just got the latest revision of Touch hardware back that is not on the show floor, that is not in developers' hands. They just started coming off the production line and they're higher quality and better tracking than what you see today. We have the capability to do room-scale and we are still determining what our exact position is with regards to room-scale. Having said that, games like Job Simulator, Fantastic Contraption [are] fantastic games. They have said they will support Touch and they have said they will support our current system. So I don't feel like we're going to have a lack of content or that that content necessarily requires a [large] room and I think over the next - and, again, we're not going to promise until we're absolutely sure that we can deliver on our promise - but it is something we're discussing," he said. As the VR market starts building up some steam, it'll be important to bring well-known franchises into VR. That's certainly what Sony is doing with Resident Evil VII, Final Fantasy XV and more, but there's an inherent danger in that approach as well. "First of all, brands matter. We all understand that. We have Minecraft in our ecosystem. We've announced Rock Band in our ecosystem. StarTrek with Ubisoft is in our ecosystem... It's amazing the brands that Sony's bringing to VR. We're 100% consistent in our view that the more people spend and the more people invest in VR, the better it is to get the VR community going. So if they announce exclusive massive titles, I am 100% consistent with what I said about Oculus' stance. I applaud them for doing it. It's good for the consumer. Eventually these amazing developers that they've got signed up doing things are going to invent new ways of handling VR game making that will percolate out to everybody. Whether those titles stay exclusive forever or not, I'm 100% consistent in my message that I applaud Sony for doing it," he noted. "That off the table, the question with any title is is it going to live up to its gameplay potential? And if you don't have a large property attached to it and you fail, it was an experiment, and it failed. If you have a large property attached to it, people expect a lot from that large property... The problem with putting brands into something that's experimental or is not good is that the brand brings with it the weight and you can turn people off by failing much more than you do as an indie developer that's throwing out a new IP as an idea... I have a huge desire to play a lot of those IP on a personal level. Again, I applaud Sony for everything they're doing, but the jury's out until we see what the games actually look like." Another key issue that VR developers must grapple with is how sensitive some gamers may be to staying in a VR environment for extended periods of time, which is exactly what you'd want to do with a AAA property. Oculus' own health and safety guidelines actually state, "Take at least a 10 to 15 minute break every 30 minutes, even if you don't think you need it. Each person is different, so take more frequent and longer breaks if you feel discomfort." Rubin, however, is not concerned about gameplay session length. Some games like The Climb or more physically demanding Oculus Touch games are naturally going to be shorter since the player is likely to get tired. That said, Oculus does have data on session length, and Rubin said, "there are games with the average session of an hour or longer." "I see a huge amount of utility in [AR] and a huge amount of opportunity for that, but as a gaming device, I don't know that it is as compelling [as VR]"
He continued, "I recently went from the beginning to the end of Edge of Nowhere in what you could call a speed run... just to play it through in its final form and that took me over three hours and I was in for the entire time. I think the experience again will dictate how comfortable it is for how long. If you're moving around a lot, if it's flashing a lot of really bright lights in your eyes, shorter experience. If it's a more sedate or more seated and/or game pad experience - we've got data - those are hour-plus long events and people are not complaining about fatigue in them. They're probably coming out of them because they've got to go to work or something. So I think it will entirely run the gamut depending on what the experience is." In the long run, Rubin fully believes in the self-contained, untethered VR experience, but the idea of VR sunglasses, "is way the hell out there." What he doesn't believe in is VR as some sort of stepping stone to AR. Long-term, he sees the two technologies coming together anyway. "Generally when you hear that [AR has more potential], you hear that from someone fully invested in AR. AR is technologically very difficult. It's behind VR. You don't have shipping products right now in AR... You have some that are $3,000 that are dev kits, but you don't really have anything that's shipping. So as part of keeping the hype around the ecosystem, a lot of people have been saying this, that, and the other thing about AR being the end game and everything like that," he commented. "The truth of the matter is there's not that much difference between AR and VR. You can have an AR device that blacks out the background entirely and becomes a VR device. You could have a VR device that has some sort of camera and/or the screens are translucent and it becomes an AR device. The difference is the use case. AR you're out in the real world. AR you're seeing the real world. I see a huge amount of utility in that and a huge amount of opportunity for that, but as a gaming device, I don't know that it is as compelling. As a gaming device, as an alternate world device, VR has a huge amount of potential. "As technology progresses, you're going to want to have one pair of glasses that solve everything. I think, in the future, you're sitting in some fantasy world running around with elves and your friends are in there and they're in different places on the planet and you're talking to them and playing with them and you're in a totally alternate universe and then a little note pops up that says, 'You gotta go to work, man,' and you click the side of your headset and suddenly it's AR and it points to where your keys are and you go off to work. I think that's the ultimate end case is that they're both." Interesting article, thanks for the perspective. I found it a little odd that you didn't take this opportunity to discuss hardware exclusivity, which is the choice that has caused the most friction. Most people are fine with store exclusives - and with Oculus funding those exclusives - as long as there's no hardware lock-out.